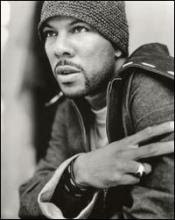 THEMIXLAB: Common Workin' On New Album "The Believer"
Common Workin' On New Album "The Believer"
Yeah, it is correct! Common is gonna be droppin' a new album by early summer! He claims to be taking his music back to RAW hip-hop. "Yeah, I’m working on The Believer right now. I’m actually working with No I.D. and Twilite Tone and Kanye West. Man, we’re looking forward to making some powerful music. It’s really in the beginning stages — the first quarter. But I plan to really focus and get it done." When asked about his work with No I.D., Com explained why it feels right this time around. "I feel really excited, man. We did some preliminary pre-production type stuff, and it just felt so good to be working with him. It felt like, 'Man, life is really, really good.' It’s full circle. You meet up with the person who’s partially responsible for beginning your career, and you’re like, 'Man, this is really cool — that we meet at this place in our lives and our creative journeys and we really are enthused to work with each other.'" After Common's last release, he is ready to take it back to "raw Hip Hop," in his words. "We know that we want to do some raw Hip Hop. That’s exactly the direction and feel we want, so that’s the basis of it. ‘Ye and I definitely know we want to do some pure Hip Hop."